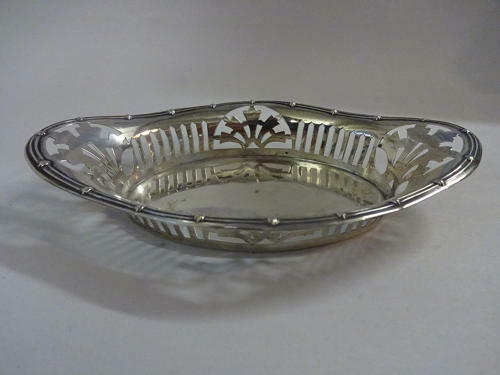 Delightful Solid Silver Bon Bon Dish. Hallmarked Birmingham 1885 by Maker Thomas Latham & Ernest Morton. Measures 15.75cms long, 9.5cms wide by 2.75cms high.